Who Is Responsible in a Pennsylvania Truck Accident? Home » Blog » Who Is Liable in a Pennsylvania Truck Accident? Commercial truck accidents can be catastrophic because commercial trucks are large and can weigh up to 40 tons. Unfortunately, determining who is at fault for a truck accident can also be more complex than other motor vehicle accidents. Generally, multiple parties are responsible for ensuring that the truck driver and commercial vehicle are safe to be on the road with other passenger vehicles. In Pennsylvania, intrastate and interstate truck drivers and companies must abide by Pennsylvania Department of Transportation (PennDOT) trucking regulations. These regulations are similar to the regulations set by the Federal Motor Carrier Safety Administration (FMCSA). What Are Pennsylvania Truck Driver Rules? In any type of accident, driver negligence could be a factor. Truck drivers have specific safety regulations to follow, including hours of service rules and medical clearance requirements. Not only must a driver qualify for a CDL license, they must also have a medical certificate proving they are physically fit to operate a commercial truck. They must update their medical certificate every 24 months. In addition to physical fitness, a driver must undergo pre-employment drug testing as well as random drug tests. A truck driver is responsible for informing PennDOT and their employer of any traffic convictions, license suspension or revocation. If you feel unsafe, you can always report a dangerous truck driver to the FMCSA. Truck owner. The truck owner may be liable for an accident if their trucks were unfit for duty. It is the responsibility of the truck owner to make sure the trucks are safe for travel before leasing them out to another individual or trucking company. Trucking company. In many instances, a trucking company may lease their trucks and hire their drivers as independent contractors from the trucks’ actual owner. However, since the company’s placard is on the truck, in the event of an accident, they could still be liable. Like the truck owner, the trucking company should make sure the trucks they lease have been properly maintained and are fit to travel. In regard to hiring independent contractors to drive their trucks, a trucking company is responsible for vetting the drivers they hire. They are also responsible for keeping unqualified or suspended drivers from operating commercial vehicles. Loading company. If an accident occurs because the truck was improperly loaded, then the loading company could be held liable for damages. An improperly loaded or unbalanced truck could have mobility and control issues. Also, in order to travel with an overweight truck, the trucking company must hold a special permit from PennDOT. If the truck is overweight and the trucking company does not have a special permit, then the company or the loading company could be at fault for an accident. Truck or tire manufacturer. If defective truck parts or faulty tires caused an accident or increased the severity of an accident, the truck or tire manufacturer could be held liable for damages. How Can a Philadelphia Truck Accident Lawyer Help Me? Unfortunately, under Pennsylvania law, commercial trucks must only carry a minimum liability insurance policy of $15,000 for bodily injury or death of one person and $30,000 for two people. They are required to carry $5,000 in property damage liability. Due to a truck’s weight and size, these types of accidents are usually catastrophic and result in serious medical bills, wage losses and suffering. You need a truck accident attorney who has success representing injury victims on your side to help you hold the responsible party accountable. 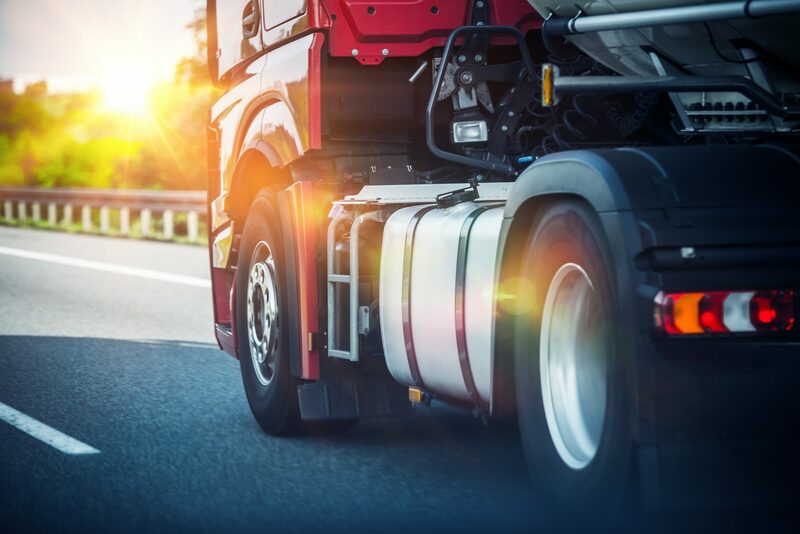 Because many parties are usually responsible for ensuring the safety of the commercial vehicle, multiple parties could be liable for compensatory damages. We recommend that you contact a trucking accident attorney as soon as possible after a Pennsylvania truck accident. Our Philadelphia truck accident lawyer could help you gather necessary evidence and help you understand who is liable for damages. In the case of a truck accident, evidence can be removed from the crash site hours after the accident occurred. It is critical to move quickly to obtain the truck’s electronic control module and other important evidence that could affect your claim. 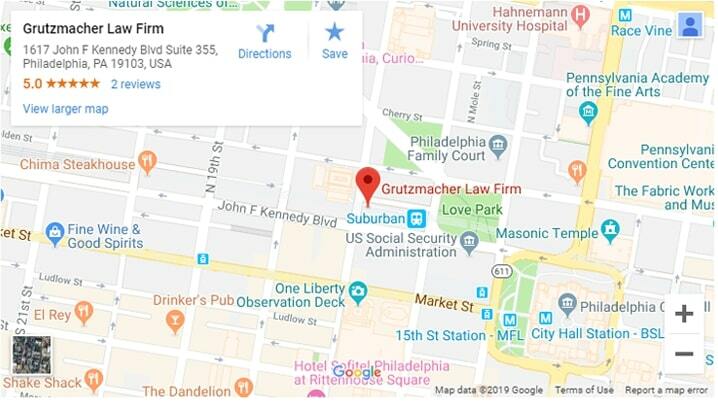 If you have been injured in a car accident with a semi truck or another commercial vehicle, contact Grutzmacher Law Firm to discuss your situation. Call us today at (215)261-7975 for a free consultation. Previous Previous post: During Icy Conditions, Who Is Liable for an Injury From Slipping on Ice?